"I wanted to chase the car, but I just didn't have the energy…" He's back!! 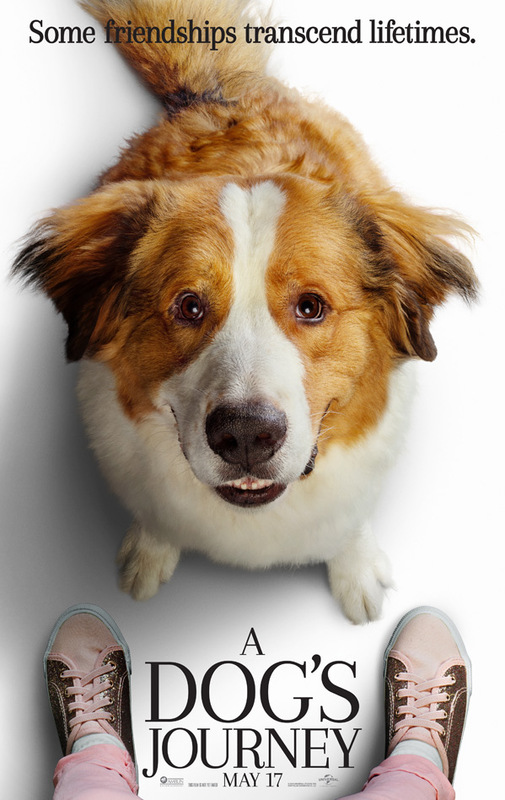 Universal Pictures has debuted the first official trailer for the next doggie movie coming up this year titled A Dog's Journey, officially the sequel to A Dog's Purpose. Both of these films are based on the books written by W. Bruce Cameron, and are about a dog's soul as it travels between various dogs and families and owners over the years. We've already had one other dog movie this year - A Dog's Way Home - and the title of this one is a bit too similar, even though it's from the "original" dog love book series. A Dog's Journey once again features the voice of Josh Gad as the dog Bailey, and a human cast including Dennis Quaid, Marg Helgenberger, Kathryn Prescott, Betty Gilpin, Peggy Lipton, Luke Kirby, Gabrielle Rose, and Britt Robertson. This looks as adorable and cuddly as it should, though I laughed at many of the lines Gad says as Bailey. Dive right in. In A Dog's Journey, the sequel to A Dog's Purpose (from 2017), beloved dog Bailey finds his new destiny and forms an unbreakable bond that will lead him, and the people he loves, to places they never imagined. Bailey (voiced by Josh Gad) is living the good life on the farm of Ethan (Dennis Quaid) and Hannah (Marg Helgenberger). He even has a new playmate: Ethan and Hannah’s granddaughter, CJ. But CJ's mom (Betty Gilpin) takes CJ away. As Bailey's soul prepares to leave this life for a new one, he promises Ethan to find CJ (Kathryn Prescott) and protect her at any cost. A Dog's Journey is directed by American filmmaker Gail Mancuso, a veteran TV director ("Modern Family", "Roseanne", "Rules of Engagement", "Ground Floor") making her first feature film. The screenplay is written by W. Bruce Cameron & Cathryn Michon and Maya Forbes & Wally Wolodarsky; based on the novel by W. Bruce Cameron. Universal Pictures will release Mancuso's A Dog's Journey in theaters everywhere starting on May 17th this summer. Who's in?